The Union Cabinet has approved the regularisation of 895 unauthorised colonies in Delhi, which came up till June 1, 2014. Th cabinet made changes to extend the benefits to more people. The previous cut off date was March 31, 2002. The regularisation of unauthorised colonies will benefit around 60 lakh people. The Lok Sabha had earlier passed the National Capital Territory of Delhi Laws (Special Provisions) Amendment Bill 2014, which sought extension of the existing Act for a period of three years from January 1, 2015. 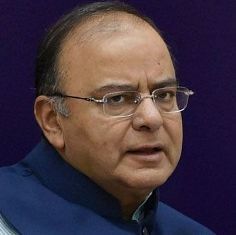 The Cabinet decision was conveyed by Union Finance Minister Arun Jaitley at a press meet today. The move is seen as a master stroke by the BJP to counter Arvind Kejriwal and AAP and occupy power in Delhi, which may go to polls in February 2015.